We assist Families evaluate alternative citizenship and residency options worldwide. We hold hands with them to “cross the street” safely so they can achieve their Family’s future goals. We act as retained advisors to Families to guide them on relocation decisions, international asset management and planning issues and general next generation educational and advisory issues. Our goal is to assist you and your family to make the “best fit” decision for your immigration plan and obtaining citizenship by understanding and analyzing your needs, and recommending the “best fit” jurisdictions and relocation options and programs. We work with you to determine the right place to consider to relocate or emigrate for work, investment or otherwise by analyzing a mix of holistic considerations such as next generation educational needs, social stability, better future living conditions, local community support, confidentiality, safety, positioning of the family for the future, convenience of travel and other factors. In addition, we assist families to make efficient and effective multi-generational asset preservation and tax planning decisions. The long-term best interest of our clients and their families is our shared goal. We know that we must secure “right-fit” relocation solutions since we must protect the trust and preserve the futures of our clients. As trustworthy professionals, we are responsible to (i) protect our clients in a safe crossing over to a new land, and (ii) ensure a safe arrival, and (iii) provide re-settlement assistance with our selected cooperators at the destination. We team with local professionals in other jurisdictions to insure quality support that minimizes risk and difficulties to the families. We help our clients cross the street to the other side safely. 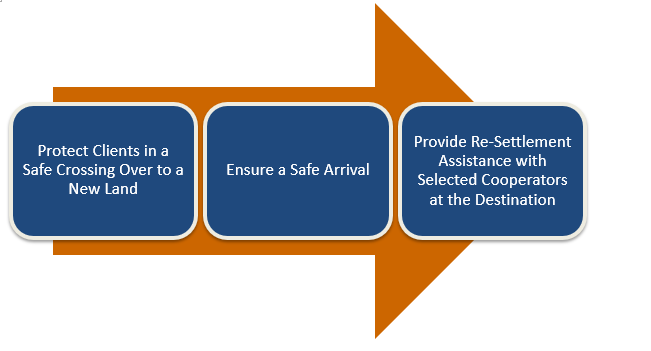 After that, we can, if retained, provide support in the destination with various re-settlement support. We wish to insure that the family has friends to help them to safely integrate into their new home. This will be the beginning of the support network of friends and local relationships. We try to provide a tailored personalized solution. This is not a mass market “one size fits all” lowest price service option. Pamir cooperates with an international network of local co-counsels who have extensive localization, overseas immigration and relocation experience in their home jurisdictions. By teaming with this invaluable local resource of fellow professionals, we offer an integrated customized solution beyond just isolated immigration advice or filling out forms. Our goal is to insure a family will benefit from (i) someone who understands your family’s needs and support as a cultural and language bridge, and (ii) a local counsel who will be responsible for navigating the process safely, and (iii) local professionals who can assist with housing, education, banks and all the things needed to re-settle and set up a new life. Together these professionals provide local relationships and experience and a “home turf advantage” in each of the jurisdictions. We will assign a personal adviser/consultant to interface with the family during the entire process to coordinate and facilitate communication, ensuring a seamless continuity of strategy and service. With each of our clients, we will analyze the individual family circumstances during an in-depth initial interview session and a comprehensive questionnaire which covers relevant aspects and perspectives of their situation. We will then, based on the family preferences and considerations/priorities, we will present the possible options that might be available “best fit” choices. The client may stop at this point or the family may decide to go forward, we will develop a plan and budget and put it in action. In the first stage, the client fills out a questionnaire that articulates the family’s priority concerns and needs. The questionnaire is followed up by a consultation session in which one of our relocation experts helps articulate the family’s goals. After a client completes the questionnaire and a personalized interview with one of our relocation experts, our team identifies the client’s main requirements and develops a customized profile. Once the client’s profile is developed, our team makes a recommendation, provides detailed information on all recommended family/investor relocation programs, and helps the client make a final decision. Once the client selects a jurisdiction with assistance from our team, we collect all necessary documents from the client, and together with our local partner in that jurisdiction, we ensure that the client’s application is submitted properly and processed in a timely manner. Welcome Package: A document specially prepared by our local partner, providing an overview of the selected city, along with recommendations for specific residential areas, schools, properties, clusters of Chinese communities, if any, mandarin-language media and support groups, as well as mandarin-speaking service providers. Orientation Visit: Initial visit for the family to become familiarized with a desired city and to explore residential areas, properties and schools. Includes airport pickup, hotels, transportation and a mandarin-speaking concierge. Real Estate Search: Either as part of the orientation visit or at a later date, our team can arrange appointments for the family to visit properties available in the desired city. 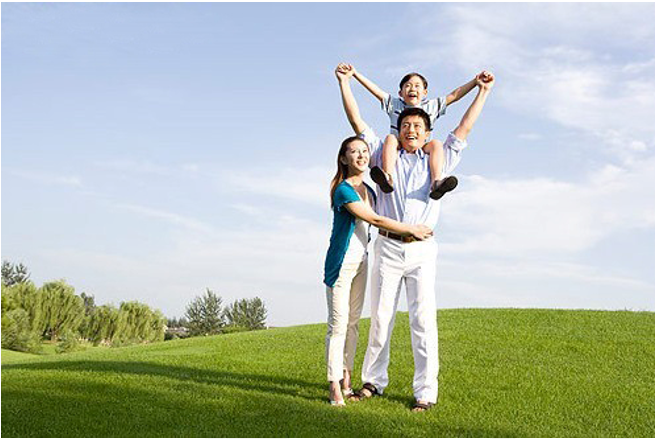 We will arrange either English-speaking real estate agents, or a mandarin-speaking concierge to accompany the family. Concierge Service: Our team can arrange for a local mandarin-speaking concierge to assist the family in any miscellaneous aspects of settling in the new city, such as opening bank accounts, registering for utilities, interacting with the local government if necessary, contacting local plumbers, electricians, and other household service providers, car rental or purchase, driver license application, and others. School Search: Our team can help the family identify and evaluate international or local schools in the area, and introduce local professionals to assist with visits and admission process. We are also able to introduce service providers who can assist family members prepare for university admission exams while they are in China. Language Courses: Our team can help the family identify and evaluate different options to learn the local language, if needed. Introduction to Mandarin-Speaking Service Professionals: If available, our team will arrange introductions to local mandarin-speaking lawyers, accountants, financial advisors, doctors, and insurance professionals. Availability of the services described above may vary in different jurisdictions. Currently we have partnerships with local partners in the following jurisdictions, and more are added on an ongoing basis. After an initial meeting with the family, our team will create a custom scope of work with fixed fees for the Phase 1: Requirements Definition and Phase 2: Country Selection services. Fee quotations for Investor Immigration Application and Post-Approval Relocation Support vary from country to country and also according to each client’s needs. A tailored plan and fee quotation will be prepared for our team after the initial phase is completed.